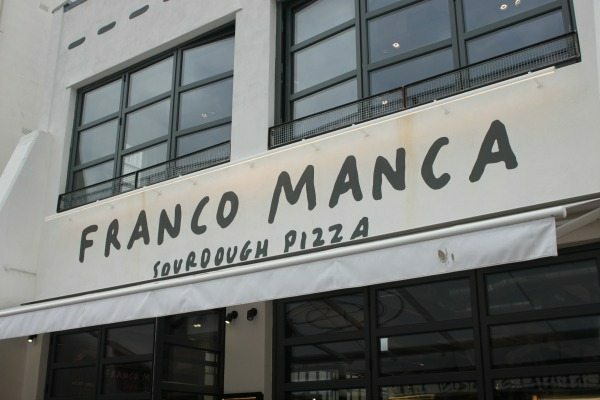 Franco Manca was founded in 2008 on Brixton market by Giuseppe Mascoli and since then his sourdough pizza has been taking London by storm. The emphasis is on good quality ingredients cooked in the traditional methods by chefs from Naples. Don’t expect fancy toppings and a huge menu – this pizza expert is keeping it simple and authentic. 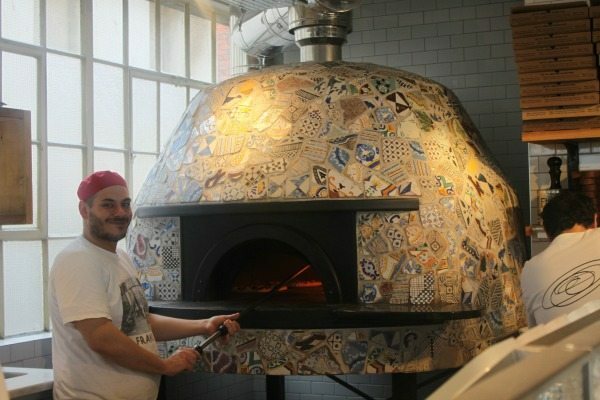 Since opening in Brighton’s busy North Laine, the buzz around Franco Manca has been huge! The pizza chain has been competing with the likes of Edendum, Fatto A Mano, Al Duomo, Nuposto, and VIP Pizza– these are already firm favourites in Brighton’s already big Italian restaurant scene. 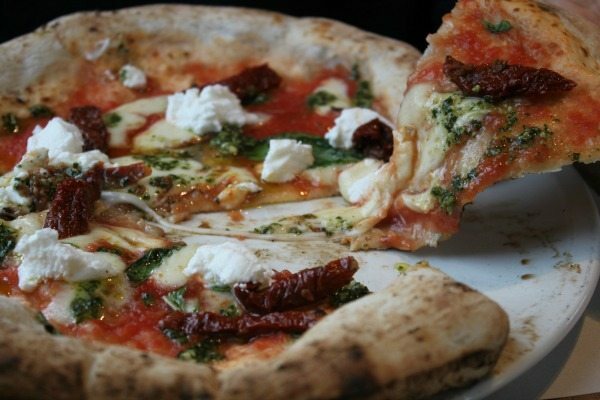 Franco Manca pizzas are made from slow rising dough and baked in a wood burning oven on site. This is otherwise known as a ‘tuff’ brick oven. There is a no booking system for the restaurant so it’s first come first served, luckily there are plenty of good pubs and bars to grab a drink at in the area should you need to wait a while. We visited the Brighton marina restaurant for a lunch stop while down that way. Luckily we didn’t have the wife with us as this place doesn’t offer a gluten free option. We were greeted with a warm welcome by the staff and the service continued to be exceptional till be left. The staff were very attentive and you got the feeling straight away it was a child friendly restaurant (what else would you expect from the Italians). It’s a large dining space, which has the pizza oven and chefs situated at the back but on full show to the customers. For us being able to watch the guys put the pizza’s in the oven and take them out adds a bit to the whole dining experience (kids loved it). On to the food it’s self, well the menu is short (7 options) but absolutely fine as the pizza’s on offer are the firm favourites and you can add any topping you wish for an extra 50p or up to £1.75. The pizza tasted great and come out perfect size for both the kids and the adults. We ended the meal off with dessert, the kids had the ice cream and I went for the tiramisu. Unfortunately, the tiramisu was not the best I have ever tasted, biscuits not soaked enough and way to much cream. If they gave me a better pud then they would have got a 5 star from me as the pizza and service was great. One other thing to mention is the reasonable price of the food and drinks. I didn’t realise that kids eat for free with a paying adult, bonus.